Often when the topic of Islam and fashion comes into the same context, misunderstandings may arise among the community. With rules dawning upon the rights and wrongs of how Muslim women should dress, Islam may easily be mistaken as oppressive towards a woman’s right to be beautiful, where it seems if one is to love the world of fashion, with all its glitz and glams, then one is going against every aspect of the Islamic value, as if to burden women into choosing between beauty and religion. But what they may not see is, religion in itself promotes true beauty and this includes Islam. 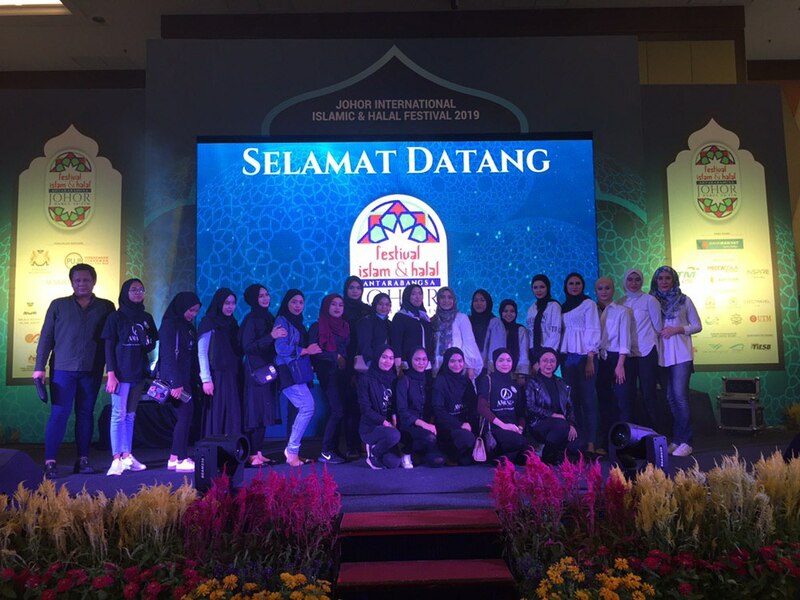 In conjunction with Johor’s first ever International Islamic and Halal Festival 2019 (FIJO 2019) that was recently held at Persada Johor International Convention Centre, a Modest Islamic Fashion Show was held on the third night of the festival. Bringing the theme of Modesty, the fashion show gathered top designers from both local and international to showcase the beauty of Islamic fashion to the audience. To kick start the show, PADUSI presented its Padusi Couture Lady in Black Collection; that was designed by local celebrity Rozita Che Wan or more commonly known as Che Ta. This collection line represents manners, power and independence among women that was inspired by all the ladies who struggle with everyday challenges yet are able to stand firm and hide the pain behind every smile. 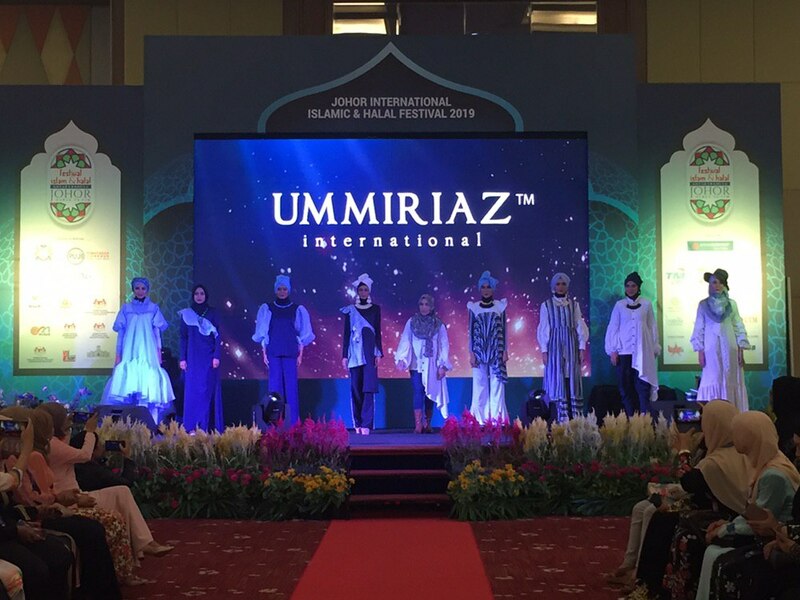 Next, UMMIRIAZ, one of Johor’s pride as Johor Brand pioneer since 2008, revealed a collection under its UMMIRIAZ INTERNATIONAL that will be included in the Istanbul Modest Fashion Week 2019 scheduled on the 20th & 21st of this month. The Modest Resort Collection 2019 under UMMIRIAZ INTERNATIONAL represents a minimalist, stylish and modest fashion concept that caters to the fashion market worldwide. 3rd in line, Daanya, a line by Iezan Shafila Kamaroddin, showcased its collection that is both modest and simple yet radiating a classy vibe. Iezan expressed that she started her brand with the purpose of chasing her passion in fashion with the spirit to always be dynamic despite the ever-changing fashion-verse. 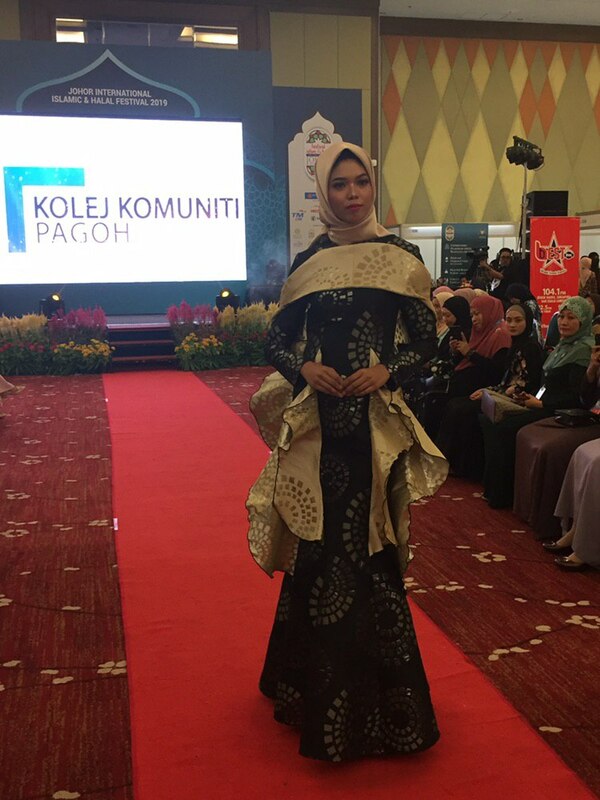 Besides that, Do Buy Abaya, an exclusive Abaya designers from United Arab Emirates since 2010, also shared their collection of Abayas that are not only vogue in style but also coloured with its own Class, followed by a collection created by students of Pagoh Community College, themed “Exquisite”. Their collection consisted of eight attires that implement modest Islamic contemporary designs that range from evening dress to smart casual, crafted from different dealings and silhouette. Lastly, HAZIRAH Collection by Daeng Hazirah Abdul Aziz, another Johor’s pride, closed the fashion show with its collection of women apparels focused on ‘Jubah’ and ‘Telekung’ that aims to provide comfort for pilgrims while performing their Umrah and Hajj (holy rituals).